We've got pizza promos, dessert deals, buffet, and more! (SPOT.ph) Payday's coming up and these deals are waiting for you! Also on the calendar this week is National Pizza Day, so scroll down for not-to-be-missed promos on your favorite pizzas. 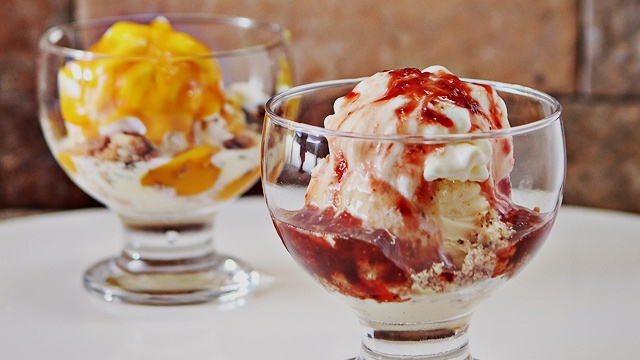 We've also found deals on desserts like cake, frozen yogurt, and halo-halo. Enjoy! 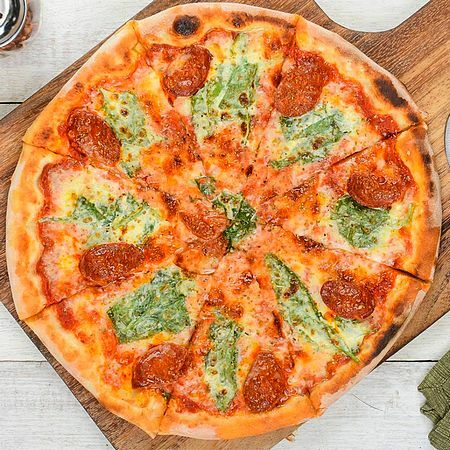 This payday, treat yourself and the gang to pizza with Amici’s Pizza Fest! On August 15 and 16, you can indulge in your favorite Italian pizzas for just P175. 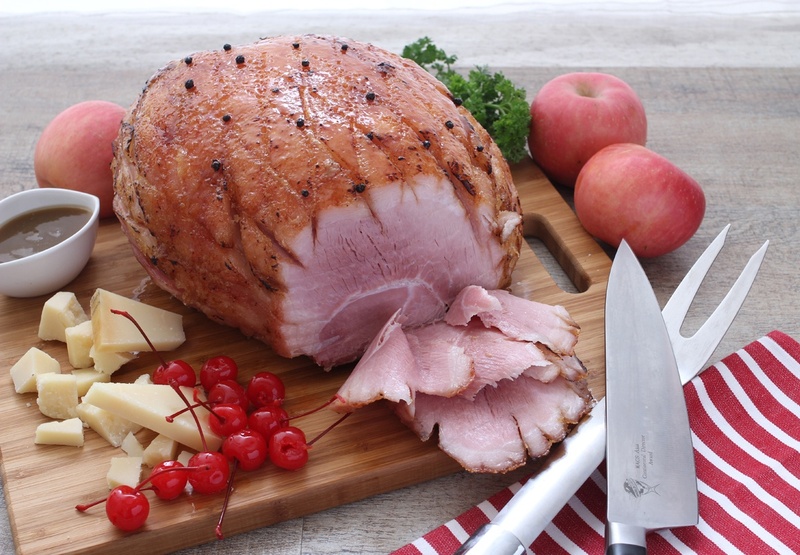 Featured flavors include Tutta Carne, Margherita, Ham and Two Cheese, and Chicken Pesto. This promo is available for dine-in transactions only. See a list of Amici branches. For more information, log on to Amici's Facebook page. 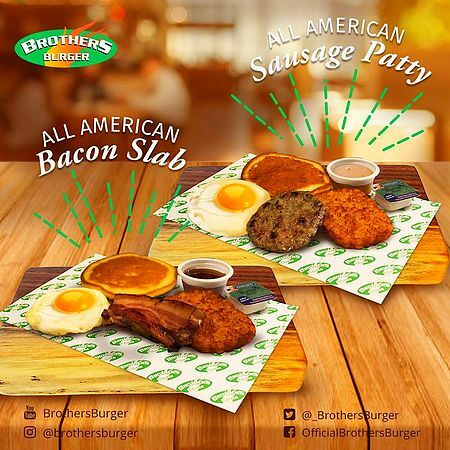 If you’re the type who can eat breakfast all day, then you might want to drop by Brothers Burger on Wednesday. Take advantage of their two-for-one promo on breakfast meals on August 15 from 2 p.m. to 5 p.m. Indulge in their All American Sausage Patty, Longganisa with Garlic Rice and Egg, Tapa with Garlic Rice and Egg, Patty with Garlic Rice and Egg, or All American Bacon Slab. 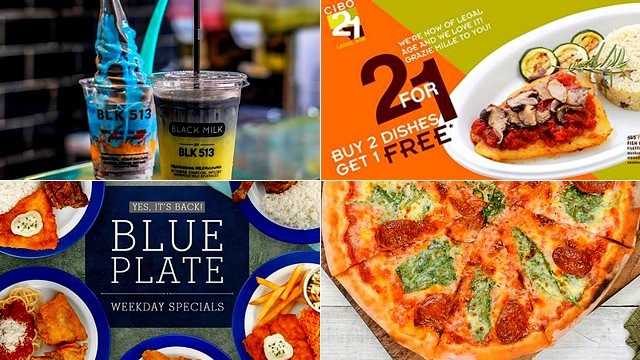 CIBO is celebrating their 21st year with a satisfying promo! Get two dishes from their 14 bestsellers and get one of seven dishes for free. Choose from bestsellers like Antipasto Spinaci Zola, Spaghettini alla Romana, Penne al Telefono, or the Linguine alla Ghiotta to get your free dish. Choices for the free dish include Pappa al Pomodoro, Insalata Nizzarda, Panino Melanzane alla Griglia, Linguine del Marinaio, Farfalle alla Genovese, Rigatoni alla Bolognese con Panna, and Filetto di Pesce. This promo is available from Monday to Thursday at all branches until September 13. This August, Cake2Go's Decadent cake is at 10% off when you purchase in-store—the perfect excuse to have it on your next cheat day. 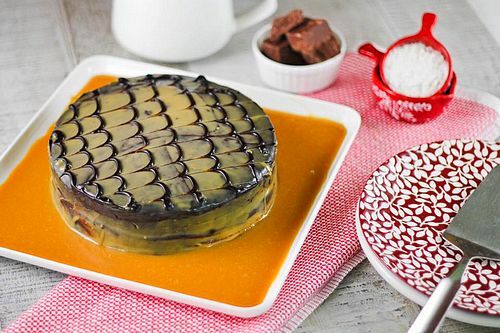 If you’re already drooling over the combo of chocolate fudge cake and chocolate fudge filling, how much more when you drizzle it with caramel syrup? It’s that sinful! 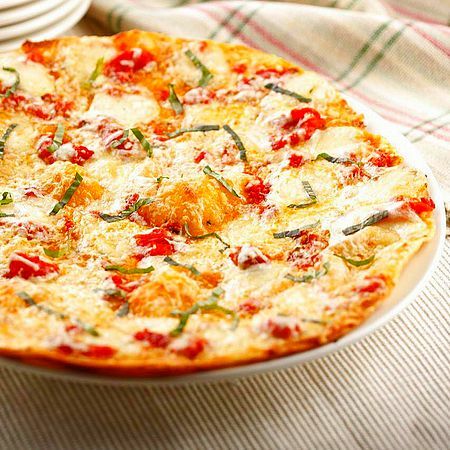 It’s California Pizza Kitchen’s annual National Pizza Day! From August 14 to 16, enjoy a two-for-one offer on all pizzas. 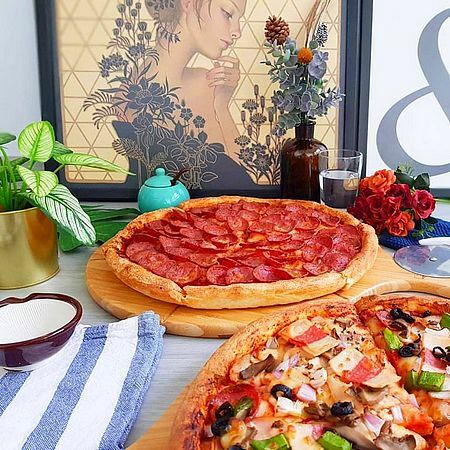 Buy any Regular or Thin Crust Pizza and get a free Regular Pizza of your choice from any of these limited-edition flavors: Hawaiian Quorn Pizza with Coconut Cream Sauce, Garden Veggie Pizza, Asparagus and Chicken in Spinach Artichoke Sauce, Smoke Ham and Sausage Pizza, and Pizza Italiana. 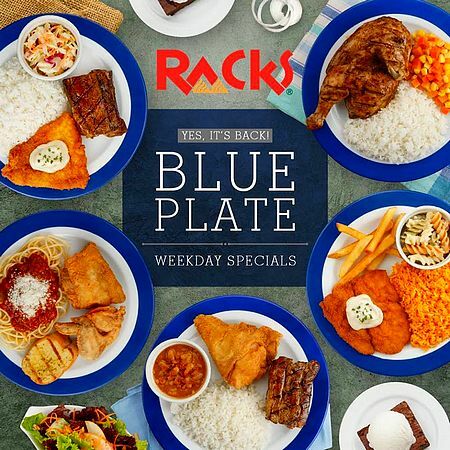 Dig into all your favorites without breaking the bank with RACKS’ Blue Plate Specials. Each plate has a combination of RACKS specials in affordable prices: Sausage and Pulled Pork Plate for P385, Smoked Spring Chicken Plate for P335, Chicken and Pasta Plate for P325, Surf and Turf Plate for P435, Fish and Chips Plate for P295, and Rib and Chicken Plate for P425. They also come with a glass of Dalandan Cooler or Pink Lemonade, and a brownie a la mode or a side salad. This offer is available all day from Monday to Friday. See a list of RACKS branches. For more information, log on to RACKS' Facebook page. In need of a sugar high? 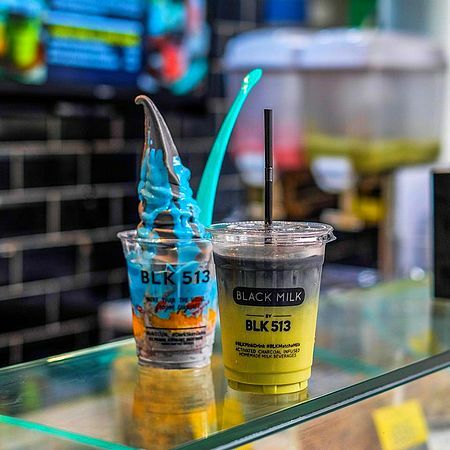 Get BLK 513's signature beverages for just P99 when you purchase a Dark Skim cup. Whether you share one treat with your friend or have both for yourself (we won’t judge! ), this promo’s definitely a sweet win! Catch it Mondays to Thursdays at selected branches. See a list of participating BLK 513 branches. For more information, log on to BLK 513's Facebook page. Reservations for at least two guests must be made in advance to qualify for the promo. DADS is at 207 EDSA, Greenhills, San Juan City. For more information, log on to DADS' Facebook page. What’s better than one pan of pizza? Two pans, of course! Pezzo Pizza is making that happen for an entire month. Purchase a pizza of any flavor and get another for free. 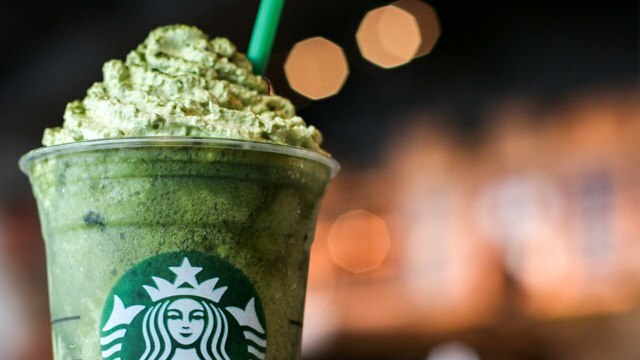 This promo runs until August 31 at their Greenhills Connecticut and SM North EDSA branches only. 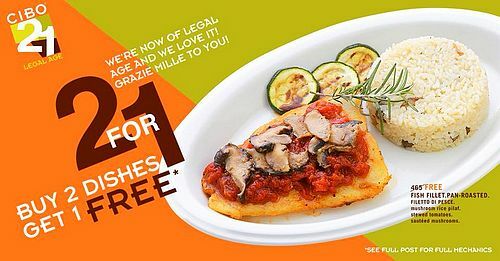 Plus, their Pezzo Cheesy Cheese is available for just P60 per slice at the SM North EDSA branch, so you might want to take advantage of that, too. You’re welcome! Pezzo Pizza is at G/F Connecticut Carpark Arcade, Greenhills Shopping Center, Greenhills, San Juan City; and 2/F Main Building, SM City North EDSA, Quezon City. For more information, log on to Pezzo Pizza's Facebook page. 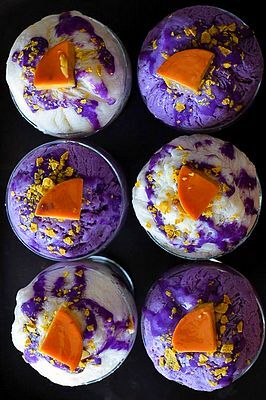 Who says that halo-halo is only for summer? Definitely not Kuya J! Don’t let the rainy season stop you from indulging in a heavenly serving of halo-halo for just P55. You have to hurry though, because this promo runs until August 15 only! See a list of Kuya J branches. For more information, log on to Kuya J's Facebook page.